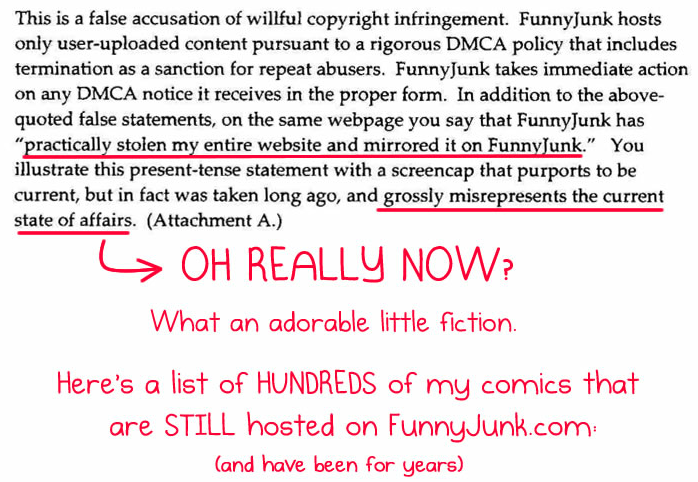 Inman wondered whether he should send a cease and desist letter, but decided the effort in trying to get FunnyJunk to pay up or quit using his material wasn’t worth it. 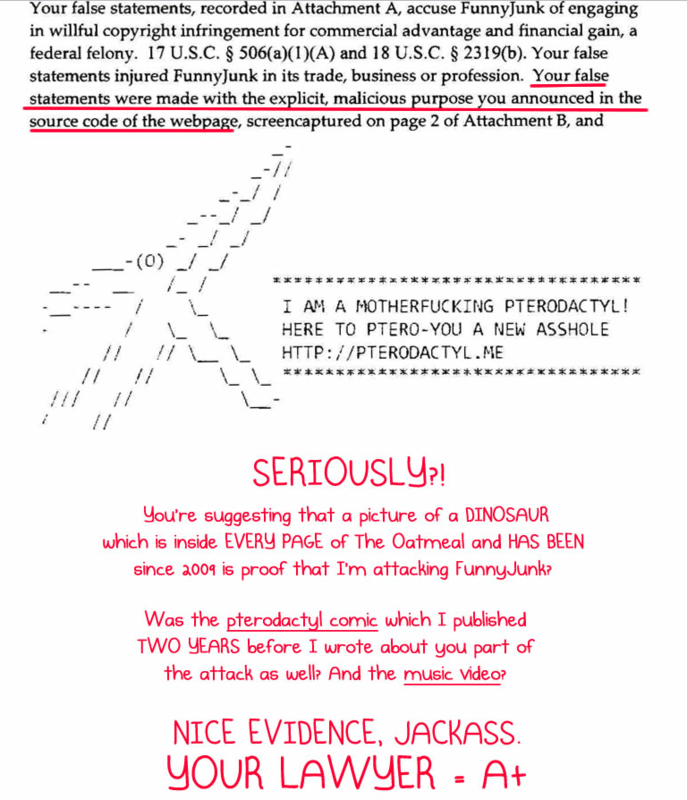 Inman also posted a lengthy list of the comics FunnyJunk hoarded from The Oatmeal, which have all since been scraped from the site. The entire escapade has been dubbed “Operation Bearlove Good. 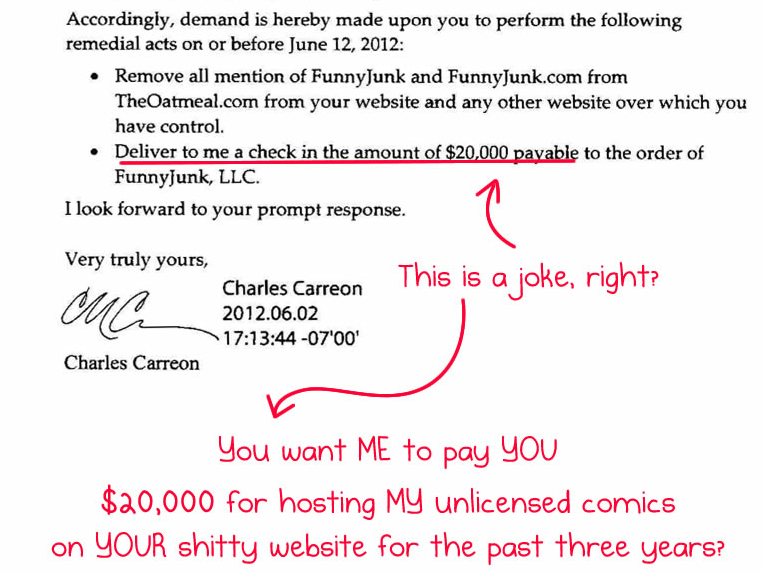 Cancer Bad,” and is being facilitated over at IndieGoGo. It’s already been a triumphant success, with 15 days to go and already more than $113,000 raised – the initial $20k was raised in 64 minutes. As Inman so succinctly put it, “I’m hoping that philanthropy trumps douchebaggery and greed.” Looks like philanthropy takes this round.